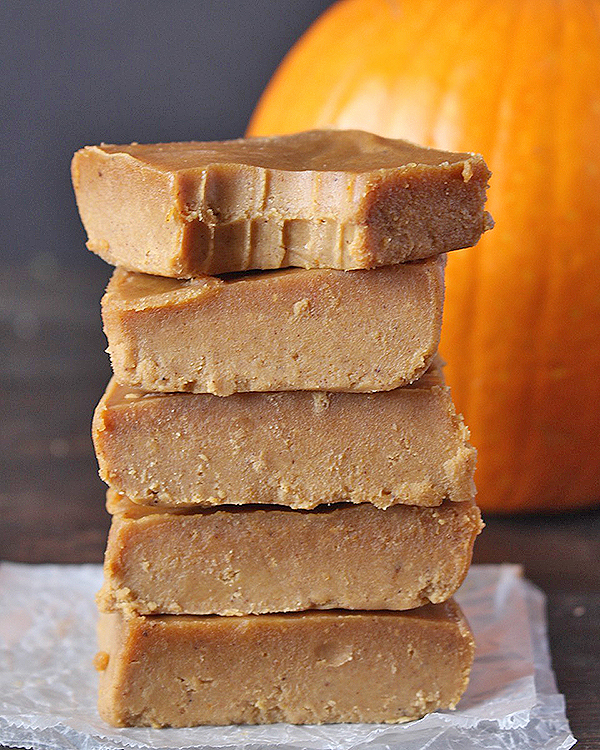 This Pumpkin Coconut Oil Fudge has only 6 ingredients and is made in 5 minutes. 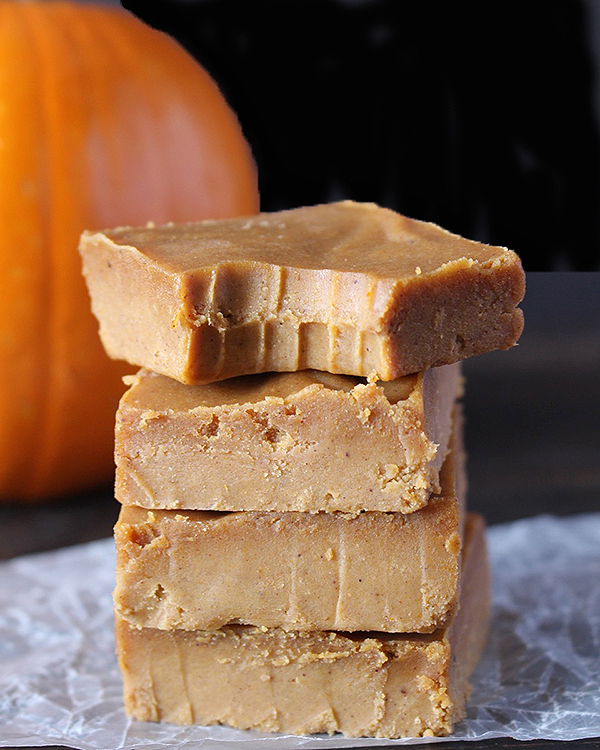 Dairy free, vegan, naturally sweetened, and perfectly spiced. 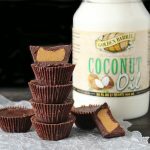 A delicious, healthy treat that you will love! 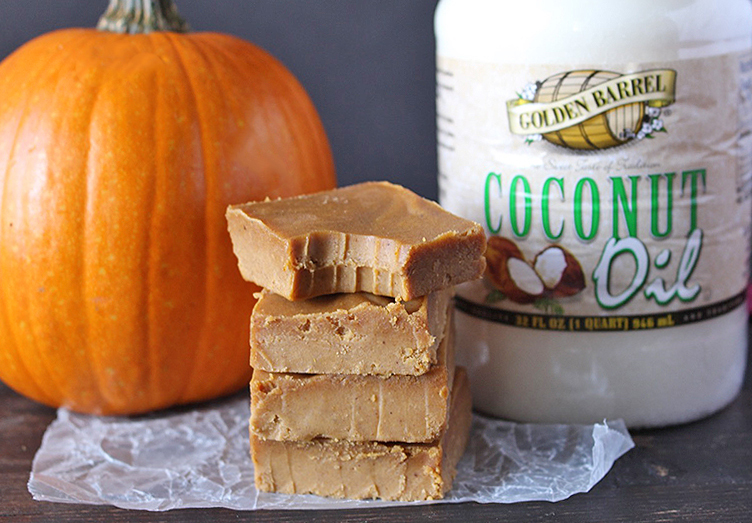 My Coconut Oil Fudge has been super popular and I totally understand why. It’s easy, quick, and delicious! 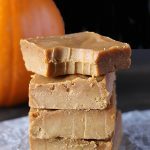 This fudge is based off that recipe with the pumpkin in place of the cacao powder and the addition of pumpkin pie spice. I also decided to use cashew butter after testing a couple batches. It is more mild in flavor than almond butter and smoother. I did make it with almond butter, too and it was very good, just not as creamy. Feel free to use whatever nut butter you like of course- it’s a very flexible recipe. It is super easy to make! Everything is mixed in one pan, heated and whisked until smooth. That’s it! No special techniques or tools needed. Of course you’ll need to plan for the time it needs in the fridge to chill, but that’s simple. 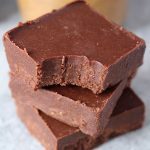 This fudge is super creamy and melts in your mouth. It is on the softer side so it’s best eaten straight from the fridge. 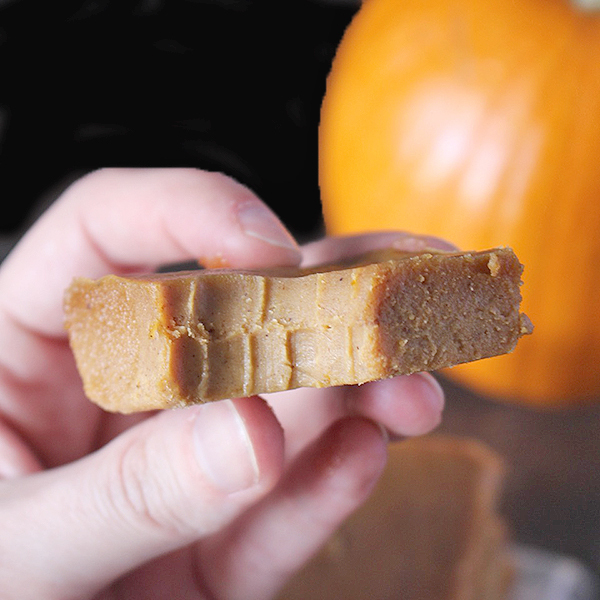 The pumpkin flavor is perfect and spiced just right. I use a pre-made pumpkin pie spice because it’s easy and because I bought a pound of it on Amazon and need to use it every opportunity I get 🙂 You can use a homemade mixture of cinnamon, ginger, nutmeg and cloves if you prefer. This is such a great last minute treat for Thanksgiving. 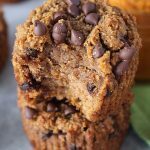 I wanted to squeeze one more pumpkin recipe in before we switch to all things Christmas 🙂 You will love how simple, quick, and delicious it is! 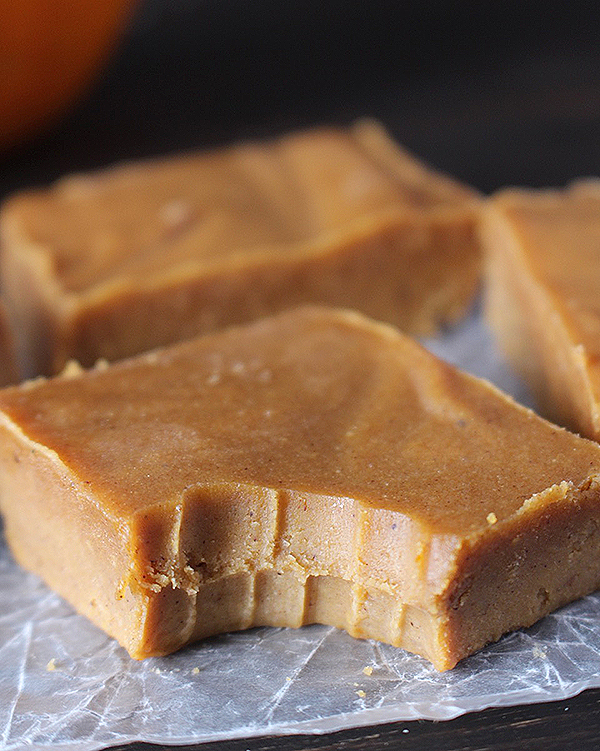 Sweet, creamy fudge that has all the flavors of pumpkin pie, but made easier and healthier. Enjoy! Line a loaf pan with wax or parchment paper and set aside. 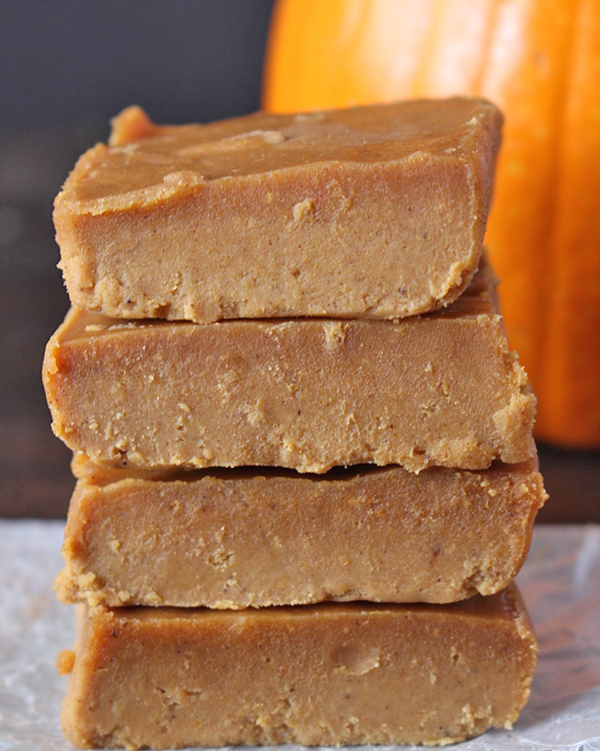 In a medium sauce pan, combine pumpkin, coconut oil, cashew butter, maple syrup, pumpkin pie spice, and salt. Heat over medium heat, whisking continuously until smooth. This should only take a couple minutes. Pour mixture into prepared pan and let chill for 2-3 hours to overnight. My son is allergic to cashews. 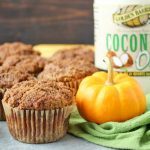 What other nut betters/ other ingredients would you recommend for substituting? Hi Bekah- you can use any nut butter you prefer. I also made it using almond butter and it turned out great. You can use peanut butter as well. Hope you enjoy! Canned Pumpkin is pure pumpkin, nothing added. Hope that helps and you enjoy! I’ve made something very similar in the past, but never with Pumpkin. Going to have to try it. Thanks for sharing! Ha, that does sound tasty. We need to work on that. In the meantime, I corrected it to maple syrup. Thanks for pointing that out.